If Your Circumstance is an Emergency Dial 911. What is the common denominator in these core societal plagues? That would be the abuser, and far more often than not the abusers inherit underlying pathological DSM-5 “Cluster B” traits. 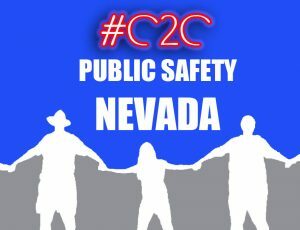 Additionally, the #C2C technology includes a preemptive, or as necessary, a post damage remedy consisting of educational and technical components to forewarn potential or current victims by identifying some of the key source problems - those being maladjusted societal personality traits. Ingrained abuse traits that cause extreme hardships that often damage unsuspecting victims for the rest of their lives. Whenever possible a person needs to be preemptive. Learn the signs listed below beforehand and watch the online videos. 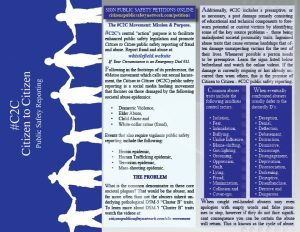 If the damage is currently ongoing or has already occurred\ then warn others, this is the premise of Citizen to Citizen; #C2C public safety reporting.